Learn iPhone Repair: What are the Tools and Techniques Needed to Repair Damaged iPhones? Learn the fundamentals of what are the tools and techniques needed to repair damaged Apple Phones if capabilities supported with any knowledge of tools and techniques are considered, the mobile technician can easily to analyze and find solutions if the damaged iPhone is a type a tech has never known. What are Hardware, Software Techniques needed and also the function of each technique? So If there are major service types techniques that you have not mastered, you can quickly learn the iPhone servicing techniques today. An example: damage in the form of iPhone LCD blank. So, Let’s Read this iPhone ebook PDF and start learning today! at the moment you were trying to get into the topic of iPhone logic board repairs but you got a little problem in troubleshooting the board of Apple iPhones. you watched guides and explanations on which parts a board consists of and what every part does (coils, resistors, capacitors etc.). After that, you looked for videos on how to start troubleshooting iPhone logic boards but you found videos about troubleshooting motherboards from laptops. the laptop Schematic always started with measuring the main power tracks which was pretty much comprehensible. It seemed pretty easy because all the power tracks were listed on one of the first pages of the schematic. You could easily see on just one page which the main track are and so on. 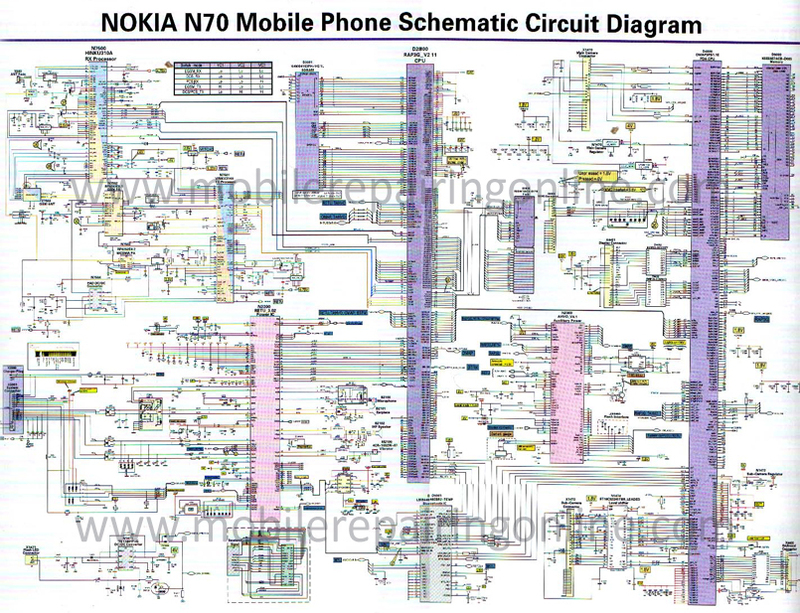 But with iPhone logic boards, you had to find out that there is not an overview of the tracks in the schematic diagram. It kind of just starts with the ‘details’ and doesn’t priorly explain which the main power track is, which voltage they have and so on. So have you overlooked something? Or how can you easily find out which the main tracks are without working through 50 pages of the schematic? If you look at some of the older iPhone schematics, like the 3 and 4S, they are more detailed. we believe that a third party iPhone logic board level repairs became more prevalent, the schematics became less clear…probably by design. There are a few power tracks you need to check first in iPhone logic board repair: PP_BATT_VCC, PP_VCC_MAIN & PP5V0_USB. Check those tracks for shorts and then for voltage. That is what ultimately powers the iPhone it is controlled by Tigris in the newer Apple Devices and the PMIC in the older ones like iPad. Then you move onto the main power IC (PMIC or PMU) power management circuits and check all the tracks it generates. They will power the NAND, SDRAM, CPU, GPU ICS etc as well as secondary components. Some peripherals have there owned power chip, like the 2.8V line. If you have a bad track on the PMIC, it could be a short along the tracks or a defective PMIC. That’s when you start removing components one by one. we know, that was also shown in all the guides we were talking about. 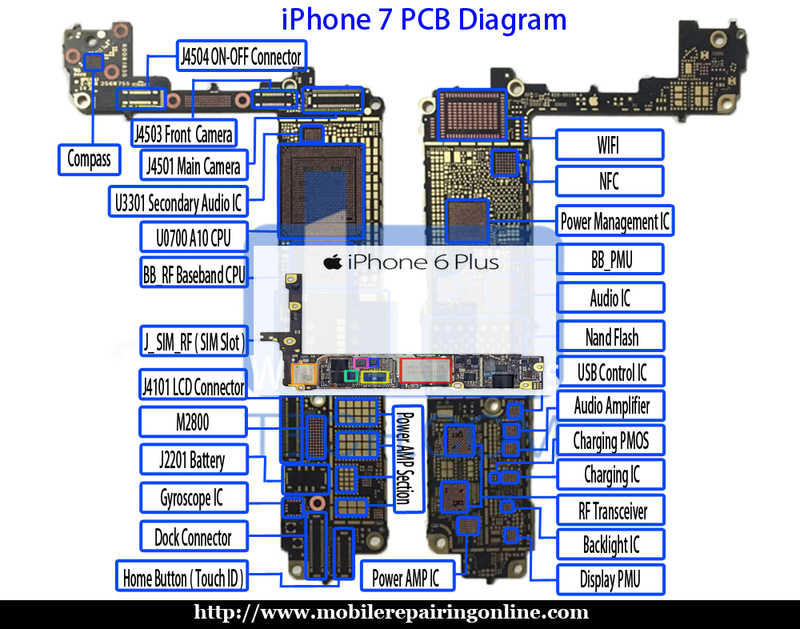 They used these board views mainly to find out where a particular part is that is shown in the iPhone schematic. But that was not really my question. So my question is still, how do you find out (in the best case as easy as with Macbooks) which the main power tracks of an iPhones logic board are? As I said before, at the schematic of laptops you can find an overview of the main tracks on one of the first pages. With an iPhone there isn’t such an overview, so how do you find the main tracks? How to unlock apple iPod when it’s linked with an apple account? I bought an Apple iPod second handed. I’m not sure what is wrong with it. I restored it to factory settings and now when I try to activate iPod, it keeps asking me for the previous owner’s Apple ID and I don’t have his number anymore. What should I do? Is my iPod pretty much bricked forever? Please try to activate the Apple iPod. If iPod shows this device is linked with (abc@icloud.com) then it can be removed easily by the shopkeeper where you buy this. if shows this device has been lost or stolen they cannot do anything. Normal Process: Requirement is the POP(Invoice of the iPod). If you have the bill of this device from the shopkeep where you buy this. Just call Apple support they will assist you better. They will remove this within 2 to 3 days. Only if device not been stolen or lost. apple customer support needs only iPod bill and tells them you are unable to activate or unlock the iPod. phone not charging when plugged in smartphone charger! My Android Smartphone shows charging symbol on LCD but is not charging.it is showing the charging symbol, on battery bar but not charging… What is going on? Be sure that you are charging using the correct wall phone adapter or original charger. Also, make sure that the phone adapter or the charging cable is not longer than three feet (or two meters). There is too much dc voltage drop for the Smartphones to charge the battery properly on most longer cables. Some Smartphones battery also will not properly charge when plugged into a PC, laptop, or Mac, not enough dc voltage over the normal USB connection. Most of what we see or repair on our shop is hardware failures, and this is a common one called ‘fake phone charging’ that can happen after smartphone water damage or drop damage, fallen damages in phones which cause a hardware fault on the phone printed circuit board. I had a Samsung Galaxy S3 mini lately that had a similar charging problem, charging okay but the battery percentage never went up after charging in Samsung Galaxy mobile this fault caused by a tiny resistor near the battery connector had rubbed off. Why can’t I connect to ANY AP WiFi access point? I can see AP Wifi, Router, and smartphone hotspot wifi access points in range, but cannot connect to them. Open or secured makes no difference to me. What could be causing of AP Wifi access points issue? Are you accessing the same wifi AP with either open or WPA2 connections? If you are your Cable wifi router may be limited on how many connections it can allow access though. I would go to the mobile store franchise which has an open WiFi service and sees if it connects that way if it does that points back to your setup as being the issue Vs the iPhone. If you still can’t connect to the mobile store franchise open WiFi service I would erase the iPhone and reload everything. Good luck! 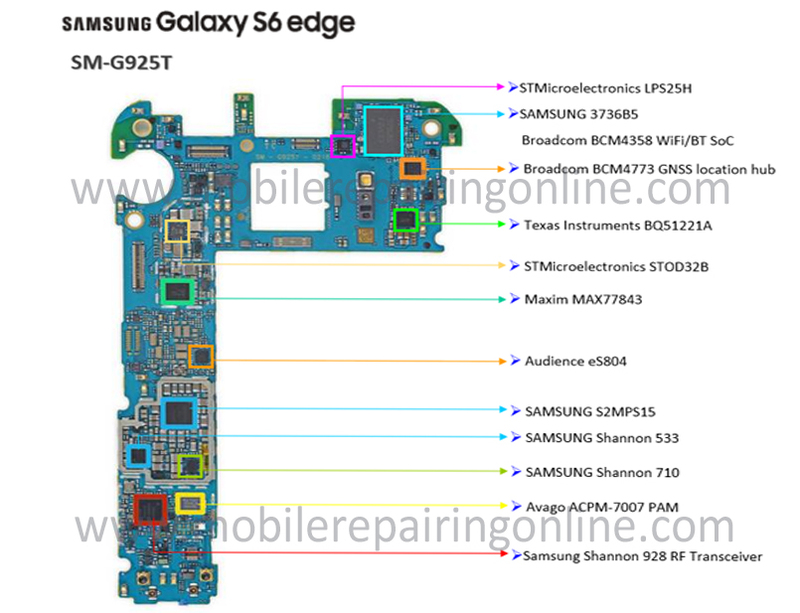 Can I use a hot plate to remove a Samsung galaxy mobile S5 digitizer? I’m sure most people here know that heating up a Samsung Galaxy S4 digitizer with a hairdryer and removing it that way can be quite a chore. I’m just wondering if anyone has ever used a hot plate to do remove a Samsung Galaxy mobile S5 digitizer? Is it a good idea? If so what hot plate temperature do I set it to without damaging the Samsung Galaxy mobile S5? Yes, set hot plate to 65C, 5 minutes on each side leave the Samsung Galaxy mobile S5 on the hot plate while taking it off. Phone Diagram Collection Books with all pieces of information about problems and solutions for them. 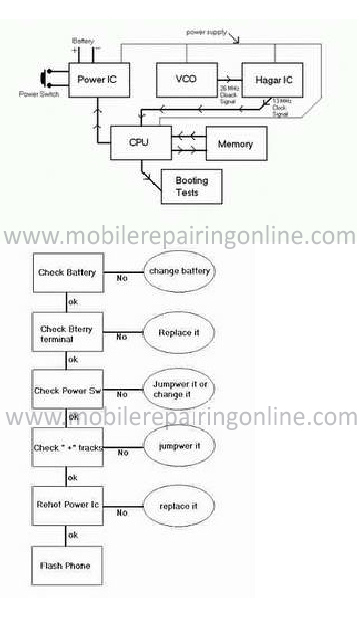 On Six Chapter you will find schematics of smartphones with most of their errors (like LCD failure, no charging or other). This kit is very useable in smartphone repairing business. Apart from theoretical knowledge on the subject, Phone Diagram Collection book also imparts practical solutions to the problems. Practise questions Troubleshoot diagrams, flow charts and easy to understand the English language makes learning an easy process. 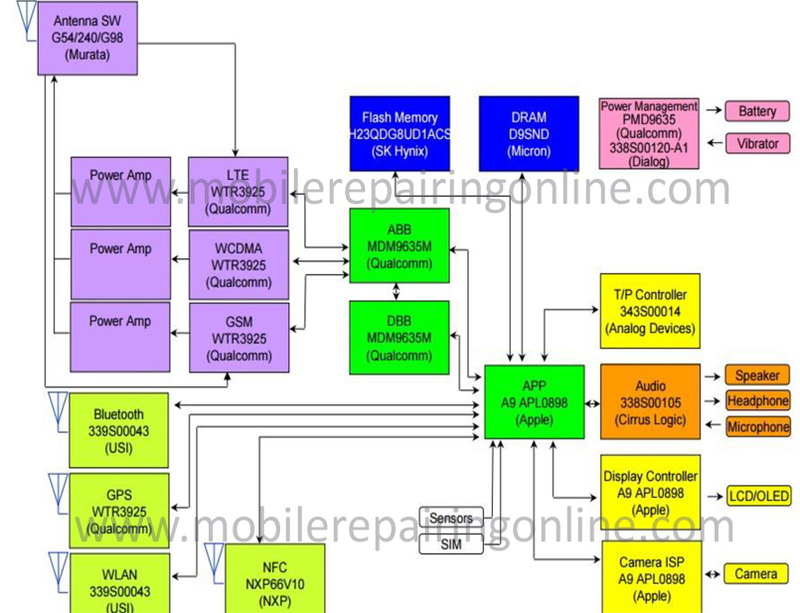 The major focus of the Diagram Book is on understanding the entire system by which the iPhone and Samsung Galaxy mobile works. 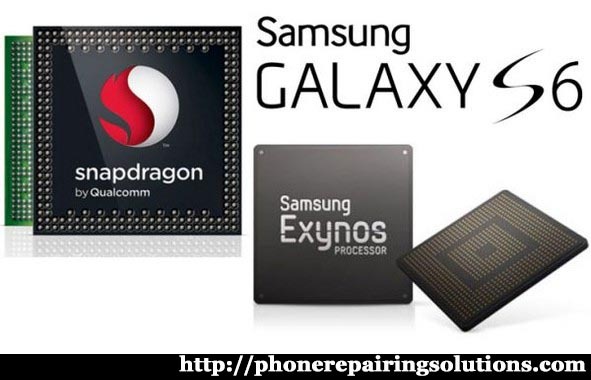 The author believes if you know the basics about how actually an Apple iPhone and Samsung Galaxy phone works, then diagnosing the problem and finding a solution for it will not be a big issue for both technician and beginner. There are many short hands-on ways solutions which can be tried on initial stages and problem-solving can be done without the actual diagnosis. These hands-on ways solutions have been explained in detail in the Samsung Galaxy and iPhone video tutorials along with the book. Apart from that, the hardware of the Samsung Galaxy and iPhone have also been discussed in detail. 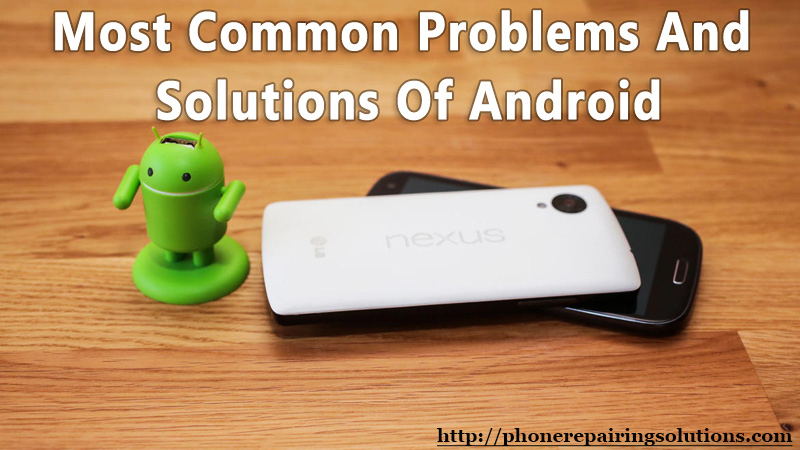 Common problems which usually occur in almost all kinds of the smartphone along with their solution have been discussed in detail in this Phone Diagram Collection book. 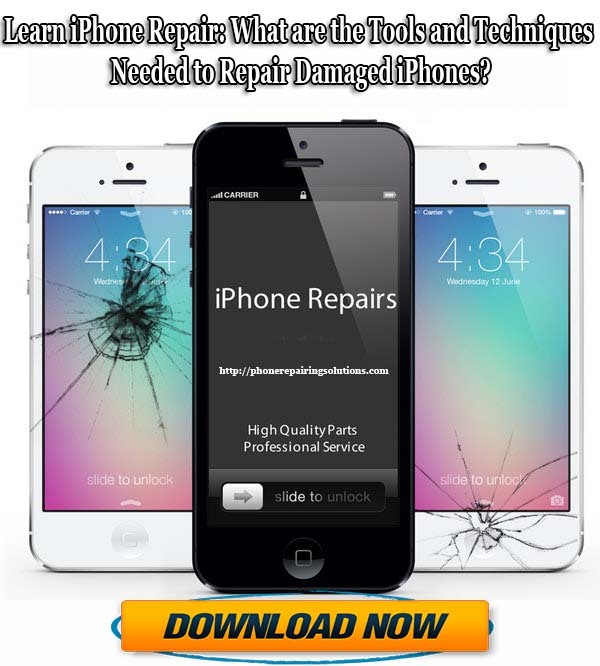 Whether you have some or no experience in the field of smartphone repair, this book can be a very good guide for you. Both beginners and experienced people can rely on the book for success in the career of Latest phone repair. The book Phone Diagram Collection is available for convenient shopping. You can bag this book from Phonerepairingsolution today by following a few easy steps. 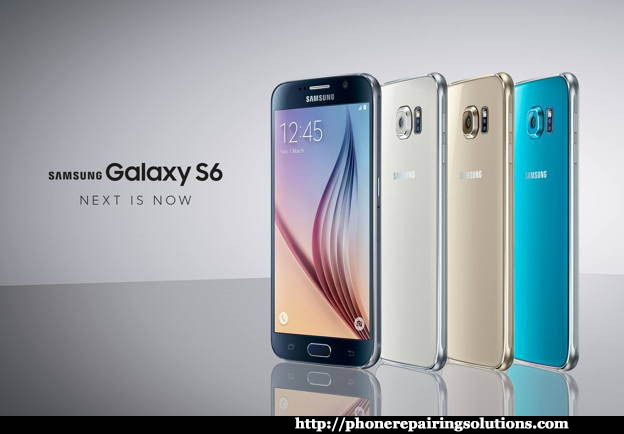 The Samsung Galaxy S6 is Launched in March last year 2016, the Galaxy Mobile S6 revived Samsung’s fortunes after the company was panned in the previous year for its unimaginative Mobiles. In its nearly 12 months life, there have been very few S6 major issues (if any) that have troubled S6 users. Samsung Company was very quick initially after some Galaxy S6 Mobile users started complaining about Virus & bugs. The bug fix updates were issued without any major installing delays, thereby helping the Samsung company keep its Latest Mobile users satisfied. However, some Galaxy S6 Mobile issues remain. While these problems may not be major, they can become annoying if they continue to persist. 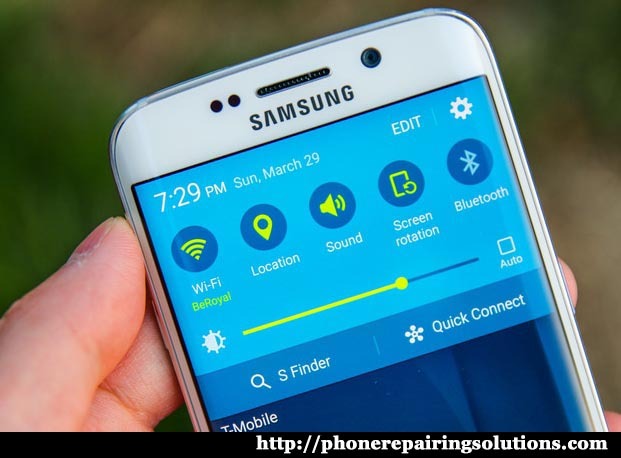 In this Article, we are going to take a look at some of the most commonly reported Samsung Galaxy S6 issues along with the solutions. One of the most common problems that plague almost every Smartphone every year is battery life. While many reviews initially posted revealed that the Galaxy S6 battery backup life was average, many S6 users to this day complain about below average battery life on their Galaxy S6 Plus. While the fact that Samsung Company went for a smaller battery doesn’t help, there are a few things that you can do to solve this problem in your Galaxy S6. This time, Samsung Company has opted for a non-removable battery on the Galaxy S6 mobile, so the option of using an extended other battery is not available. The first thing then for you to do would be to check if any mobile apps are misbehaving and consuming more battery than they should. Depending on the app and its category utility, you should be able to figure it out easily on yours S6. If you think any app is consuming more battery on your Galaxy S6, you can report the issue to the developer and find an alternative in the meantime. Setting your GPS app to Battery Saving mode will help immensely with battery backup life. Additionally, if you don’t find Google map Now to be good enough, disabling it will also improve battery life. Other than that, you may want to try resetting your Galaxy S6 mobile or sending it back to Samsung company store near you for a replacement battery. Connectivity issues still haunt many S6 users. Connecting to Wi-Fi or Bluetooth should be child’s play but software bugs & viruses will always exist. From Apple iPhones to the Samsung Galaxy to the HTCs, users across a broad spectrum of brands have often faced issues with Wi-Fi connectivity. Sometimes it could be their fault, sometimes the Smartphone they are connecting to. More often than not, I recommend Samsung users forget the troubling Wi-Fi network and authenticate it again. If that does not solve those issue, you can try rebooting your Phone both the Galaxy S6 as well as the router or modem in question. Finally, if nothing else works, check to see if there are any updates for the Samsung Galaxy Mobile or the router that you are using. Make sure you’ve updated both the devices and try again. This should work for Bluetooth connectivity issues as well. If you are one of those users whose Galaxy S6 mobile is plagued by the overheating issue, you may want to exercise some caution here listed below. Try rebooting your Phone for starters. Many a time, it could be due to a Network service consuming more resources than it should. A reboot or restart should solve it. If this doesn’t help, try to factory reset or hard reset your Galaxy S6 and set it up anew again. Contact Samsung company store near you if the issue still persists. If you have been experiencing below par performance on your Galaxy S6 mobile, you may want to check which mobile apps have been dragging the performance slow down. After noting it down, try contacting the app developer updates to see if they can solve it. For general system-wide performance issues, you can try rebooting or restarting your Galaxy S6. If the issue still persists, you will want to reset or hard reset the phone. This will, more often than not, solve any performance related problems you have been facing. This online Institute conducts online mobile phone repair training for people who are unable to attend classes at the institute. mobile phone repair course is conducted with the help of home study lessons by means of a video and a handbook. There will be online lectures in this program via video chat. All theory lessons are explained in the book, while practical procedures are explained in the online sessions and through video tutorials. The phone repairing solutions SelfStudy online training program is ideal for those who enjoy working independently, cannot travel to obtain information security training, or who simply prefer to have extended study time via course books and MP3s of course lectures.